Honest, Local & Affordable Plumber For All Residential and Commercial Plumbing, Heating and Drain & Sewer 24 Hours Plumbers in New Jersey. We are your local affordable plumber providing you 24/7 plumbing & heating services for all your home and commercial buildings. Our mission is to provide quick and affordable plumbing services while offer the highest customer service in the industry. We focus on exceeding our clients expectations and offering maintenance programs that prevent high unexpected plumbing expenses. We are serving NJ client in honesty and integrity with all plumbing repair, heating repair services including. 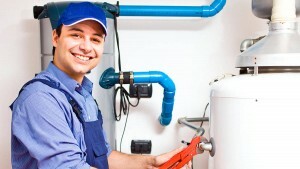 Hot water heater repair and replacement, boiler repair & installation and high efficiency plumbing and heating systems. Affordable and Hard to Beat! Offering free estimates and low service call charge put us in a position to serve more homes and business in new jersey. We will be at your door quickly and get the work done at no time without the need to come back again. Our customers loves it and keep referring us on daily basis. We provide reliable, professional plumbing services. We SHOW UP ON TIME. For your home or business in New Jersey, call us anytime for any plumbing problems or emergencies in NJ. We’re available 24/7 to repair, install or replace any of your plumbing fixtures. Our plumbing services range from replacing kitchen faucet to unclog toilet, replace or repair water heater to install water softener, upgrade boiler to install new gas line. Whether you need a quick emergency heating repair or want a quote on a New Jersey high efficiency system installation, count on us for a quick turnaround, professional work and immediate customer service. Our plumbers team is available day or night to repair, install or upgrade any heating system. Contact us to see how much you can save when upgrading your heating system. We have been NJ plumbers for many years and have helped many of our clients deal with drain & sewer line cleaning and repair. Our knowledge and experience with sewer issues gives us the advantage to know how to minimize the impact on your property, reduce your costs and complete the job in a clean, timely and professional way. We’re not looking for the quick buck but provide our neighbors with the highest level of quality and affordable sewer repair, sewer cleaning and emergency plumbing solutions. Does your hot water heater giving you a problem? We can help you reduce utility cost on NJ water heater repair or installation. Tanked water heater or Tankless we provide same day replacement so your hot water flow at no time. We can service any brand and any type, gas or electric. Our upfront, honest pricing will make the water heater repair or installation an easy process. We are on call! Monday to Sunday, day or night. Your call will be answered, so your emergency plumbing problem will be solve quickly. Our plumbers will arrive when you need them, with most parts on the truck ready to tackle any plumbing or heating problem on the spot. We hope you will never need emergency plumbing service but if you need, call us at 201-977-1450. Here in New Jersey we are very familiar with days of heavy rain. If your basement has flooded and you have sump pump that failed in the worst moment, call us, we can help. We repair and replace sump pumps, sewage pump and providing basement waterproofing. We suggest checking you sump pump from time to time to avoid potential damage to your home or business.